I love to shop . And to me the best part of shopping in finding a bargain . When I had my last three kids I had to learn the hard way that bargain shopping wasn’t a bad thing. Picture me with 3 babies all under the age of 3 trying to save money as well as making sure that they were well dressed. Hand me downs didn’t work in my case I had one really tall baby girl and one premie and the last was a boy . So I didn’t even get to hand down car seats. I had to learn how to shop and I had to learn quickly. This is post is for new moms, and moms of multiples. Because we stayed home most of the day I learned that things like tee shirts and jeans were a waste of money and time unless we had some place to go that I couldn’t get by in sleepers. I invested in sleepers. You can purchase sleepers anywhere , I preferred the one’s from Carter’s . They were virtually stain proof, held up during unfortunate diaper accidents and the knees didn’t wear out as they learned to crawl. The best time to purchase these sleepers are during off seasons. My babies were born in the Spring and Summer so I hit the jackpot with footie sleepers . They were on sale and if you purchased enough you would get money that will go toward a new purchase. I live in the south and yes it gets hot here but when they are smaller they are inside so it didn’t affect us . I chose Walmart for the clothes we wore when we had to go to places likes the grocery store and out to the park to play . Why Walmart? Well Walmart has clothes under $5 and the way kids make messes these clothes could be worn once and then tossed and there was no remorse. Now I was limited on the things I purchased from Walmart. If you want clothes that will last longer than one wear, only by tee shirts and some of their shorts . Wash them on delicate in cold water and lay them flat to dry. Also take advantage of their shoes. Kids grow out of shoes so fast , Walmart is the best place to purchase play shoes or shoes for school especially if they frequent playgrounds. I shop at Kohl’s for some of their important clothes , these are the clothes that we wear to youth group, doctor appointments and sporting events. Skirts , leggings, jeans, shorts and jeggings are all purchased at Kohls. Kohl’s features Sonoma and Jumping Beans and they have all sorts off mixed and matched clothes and they are often at fun prices. And if you shop on the weekends you can often collect Kohl’s cash …the best part of that is that your next outfit can be on them. And Kohl’s always and I mean always has coupons, 10%-20% can be your next cup of coffee. Another go to place for clothes is Carter’s again Carter’s has amazing sales. And once you’ve spent over $50 you get $10 dollars in cash to spend on your next purchase . One thing about Carter’s is often you can purchase more than one item with that $10 back and since I have multiples they often have sales that are buy one get one 1/2 off or buy one get two free. The selection is wonderful and their fabric is just what kids need. There are few pieces that we all need to make investments in like boys clothes, dresses, jeans, church shoes and sandals . Saving the money that I have saved by shopping very thrifty gives me the opportunity to purchase some major items and still not break the bank. Some items are just worth the investment more than others. I look at boys Sunday clothes as those items to make an extra investment i. Also girls smock dresses , mary jane’s and sandals are investment pieces but you don’t have to break the bank in making these purchases if you purchase them out of season. Take advantage of those end of season sales or going out of business sales. I purchased some items from Gymboree during their going out of business sales that will probably be used next fall. You can gage how big your child is and if you cannot you can always sell the items to buy new items. 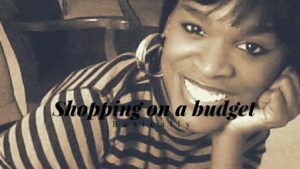 Another place for me to purchase some of the more expensive pieces is TJMaxx, Marshalls and Burlington. It takes some time to look so take a day during the week when you have time to look carefully. They carry brands like Ralph Lauren , Jessica Simpson and more . And though people think that these items are over runs or items that are messed up they are often the same things that are in the stores currently just at half the price. One thing that I also learned really early is that shoes were optional when you have babies. They don’t walk , and if they are crawling the shoes can be ruined. I saved a ton of money by waiting until it was time to walk for shoes and then I made an investment . I spent $80 on walking shoes and they usually carried them until age 2 or 3 depending on when they started walking . Some very good stores let you trade your walking shoes in for their first pair of sneakers. Again shoes are my investment to my children, prices are usually not an option because you want to get your money worth when buying shoes for kids. The only exception is play shoes.